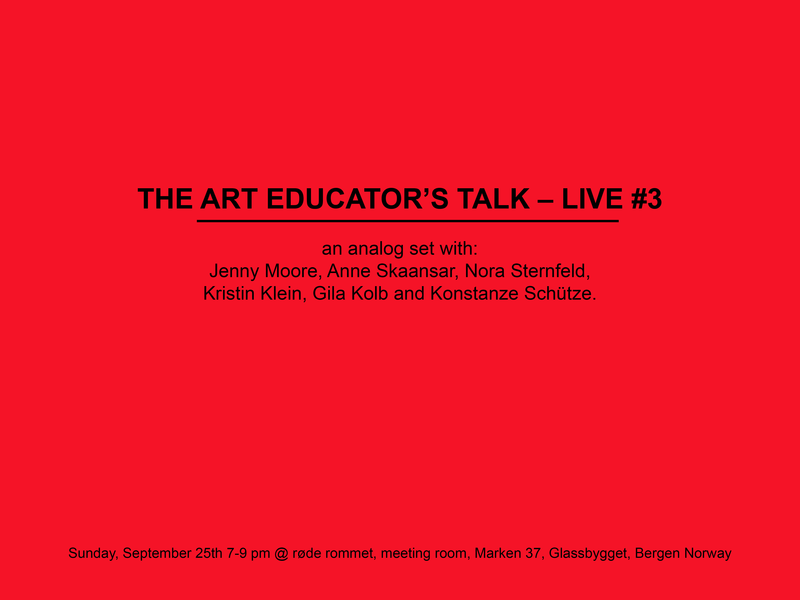 These are only a few questions we’d like to discuss with Anne Skaansar (KHIB Bergen), Nora Sternfeld (Aalto University, freethought), Jenny Moore (the Partisan café) Konstanze Schütze (agency art education, store contemporary/Berlin & Dresden), Kristin Klein (University of Cologne) and Gila Kolb (The Art Educator’s Talk, University of Cologne). Kristin Klein research associate and PhD candidate at the Institute of Art and Art Theory at the University of Cologne; research focus: art and education in the internet state of mind, creative industries, mixed reality and immaterial labor. Gila Kolb art educator, currently working at Institute of Art and Art Theory, University of Cologne, Germany. 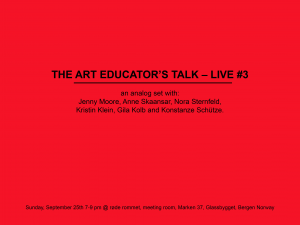 She is co-founder of agency art education and co-editor of The Art Educator’s Talk. Her focus in research is on: Drawing in Art Education (PhD thesis); Critical Art Education, Art Education in a post-internet state of mind. Recently published: What’s Next? II. Art Education (München: kopaed, 2015), Shift (München: kopaed, 2012).